The overall divorce rate in the U.S. has gone down in recent years, but there has been a noticeable increase in divorce for couples over 50, or “grey divorce.” There are several reasons behind the rising grey divorce rate. One of the biggest reasons is that many couples come to the realization that they have grown apart after their children have moved out and they begin retirement. 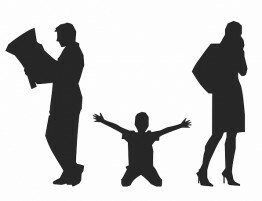 Couples going through grey divorce may experience the same emotional pain and distress as any divorcing couple, but they also face unique challenges when it comes to the financial aspect of the split. Most couples going though grey divorce have been married for 20-30 years. Over that time, they have split finances, shared insurance policies, and built up retirement accounts. When a grey divorce occurs, each person will be responsible for their own expenses and insurance, and the retirement accounts will be divided. For some, this can create a difficult financial situation. The financial losses that can happen in a divorce are much more difficult for people in their 50s to get back, especially if they have already reached retirement. If you are going through a grey divorce, it is very important to consider the financial aspects of the separation. Determine which living expenses are absolutely necessary and the amount of income each person will need after the divorce. An experienced divorce attorney can help couples going through a grey divorce effectively plan for this aspect of the split. The following are important tips to consider for couples going through grey divorce. 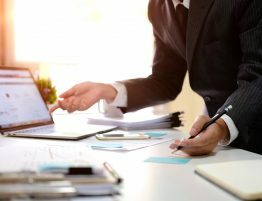 When splitting up assets during the divorce process, you must consider and review the tax liabilities. If assets are split up carelessly, one spouse could end up paying a hefty tax bill. Divorcing couples will also need to determine what of their assets is marital property and what is separate property. Over 40 states in the U.S., including Illinois, are equitable distribution states, which means that all marital property is split up evenly. This makes it important for divorcing couples to determine their pre-marital or separate assets to prevent them from being given to the other spouse. One of the most important financial assets to consider with a grey divorce is the retirement assets. In equitable distribution states such as Illinois, the funds in a retirement account are usually evenly split between spouses. If the spouse who owns the pension or 401 (k) is not yet 59 ½ years old, they can put the money into a new retirement account without incurring penalties. If money is withdrawn from the account before the account holder reaches this age, both spouses may be subject to penalties and fees. Couples in a grey divorce must take this into consideration so they can wait to retire or adjust their lifestyles accordingly. 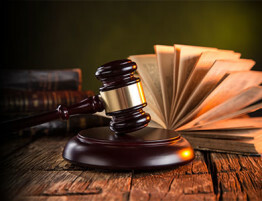 A Qualified Domestic Relations Order (QDRO) is issued by a judge in grey divorce cases to legally split retirement assets and help avoid additional taxes. The house tends to be a big issue in grey divorce cases, especially if the couple has lived there throughout much of their marriage. Remaining in the marital house can be difficult both emotionally and financially. 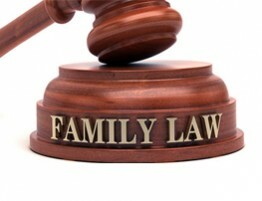 It helps for divorcing couples to decide who will get the home before the proceedings begin. The home is considered an asset, and in equitable distribution states, the spouse who does not get the home must be awarded something else to even out the asset distribution. This could take the form of a larger share of the pension or smaller alimony payments. The spouse who takes the house must consider the costs that come with it such as insurance, property taxes, and maintenance expenses to ensure that they can afford it. Most married couples have a joint health insurance policy, usually through the employer of one spouse. If someone is on their spouse’s health insurance through their employer at the time of the divorce, they can get COBRA insurance through the employer. COBRA insurance may be available for up to three years after the divorce, but it can be quite expensive. While this may work as a temporary solution, it is best for divorcing spouses to get an individual policy. The majority of grey divorce cases involve alimony or spousal support, but alimony payments are not a guarantee. Alimony payments are decided case by case, and a spouse has the option of giving the other party a larger share of their pension instead of paying more in alimony. However, with this arrangement, the spouse is essentially giving tax-favored investments to keep more taxable income. Spouses in a grey divorce can be eligible to receive social security benefits from the other party if they were married for 10 years or longer. However, a spouse can only receive these benefits from an ex under certain conditions. These conditions can include age, the length of the marriage, or whether or not a spouse remarries. Divorcing couples can get a better idea of these benefits by getting a recent Social Security statement and including it in the divorce proceedings. It is common for couples who are married for years to draft wills that grant benefits and power of attorney to the other spouse. Divorcing couples must evaluate these documents and decide if they need to make any changes before filing for divorce. Wills, estate plans, and insurance beneficiaries might need to be revised when drafting the separation agreement. These discussions are normally part of the asset distribution agreement. There are many financial issues involved with grey divorce that can be difficult for the divorcing couples to navigate on their own. 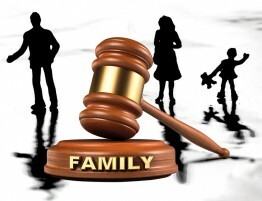 The trusted and reputable divorce attorneys of Allen Gabe Law, P.C. can help those going through grey divorce manage their assets and plan for their financial life after divorce. Contact Allen Gabe Law, P.C. at (847) 241-5000 if you are over 50 and considering filing for divorce.